The national Herpetological Conservation Trust is keen to receive any records from Britain of adders, Vipera berus, past or present with the aim of building a picture of how these reptiles have declined or increased in various parts of the country. "About 1/2 hour ago (5.30pm) I discovered a young Common Frog perched on the porcelain rim of our downstairs toilet. The only way it could possibly have got there is by swimming up through the sewer. Is this something that frogs are known to do? If it is then it goes a long way to explaining why frogs sometimes turn up in places where there are no ponds or freshwater." 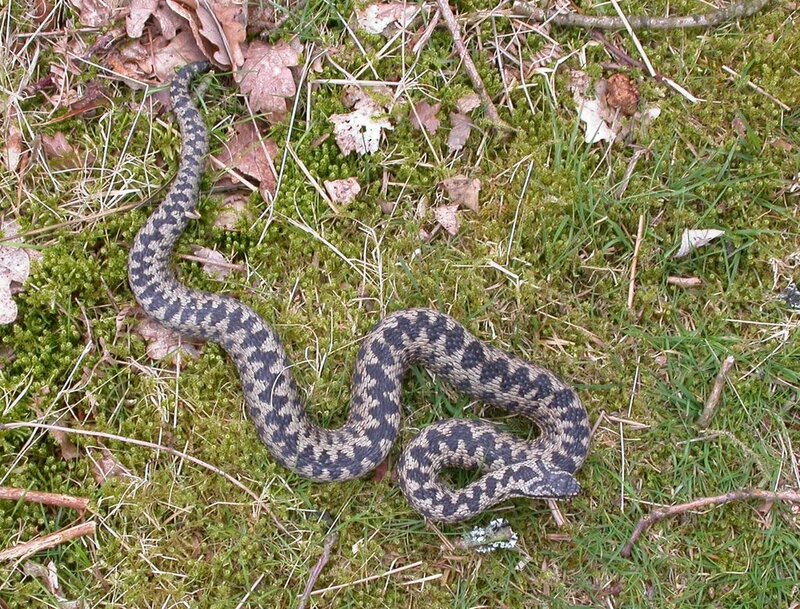 A message from Chris Glee-Owen at the Herpetological Conservation Trust to all people who would like to take part in NARRS (National Amphibian and Reptile Recording Scheme) monitoring programmes next year. "Please pass this on to other members of SARG, societies, recording groups, friends, family and workmates who you think might want to join in the fun. We have created a register of potential NARRS participants where you can add your name and email address online, to be kept in the loop for NARRS developments. There is no commitment, and the aim is for us to build up a better picture of the numbers of potential surveyors and their geographical distribution." "Please do take a minute to add your name to the register by going to the NARRS website and clicking on "What is NARRS? ", and "Sign up for NARRS". Or you can click this link."